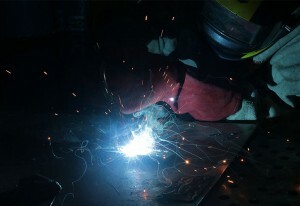 Welding is the process of fusing materials together. In this Safety and Basic Use (SBU) class, learn to use a basic metal inert gas (MIG) welder with solid wire and shielding gas to create quality weld beads on steel up to 1.2 cm (½ inch) thick. This semi-automatic method of welding (continuous consumable wire feed), also called GMAW (gas metal arc welding) and wire feed welding, offers versatility, speed, and quality. About as easy as welding gets, this is a great place for the beginner to start.